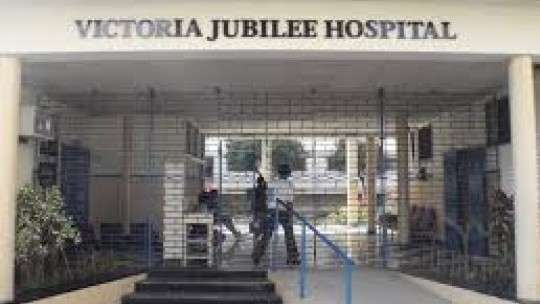 The Police say a baby believed to be the one stolen from the Victoria Jubilee Hospital, last month, is to undergo medical examinations. A woman turned up at the Registrar General’s Department, RGD, yesterday, to register the baby boy. But, RGD employees called the Police when the suspicious woman was unable to present the documentation needed to register the child. The woman was taken into Police custody and is being questioned. Head of the Constabulary’s Corporate Communications Unit, CCU, Deputy Superintendent of Police, DSP, Dahlia Garrick, spoke with Nationwide News last evening. She says the baby will remain in the care of the State until the investigation is advanced. Meanwhile, the father of the baby boy who was stolen from the Victoria Jubilee Hospital last month, Sinclair Hutton, told Nationwide News the police have asked him to come in for a DNA test today. Mr Hutton says he and his spouse are hoping that the child in the custody of the police is, in fact, their son.